An introduction to the history of artificial intelligence, and how it is being used today and into the future. 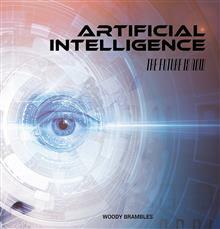 Artificial intelligence, also known as AI, is a machine imitating intelligent human behaviour. It is already being used in self-driving cars, virtual assistants and robots. Some people believe AI will make our lives easier, while others believe it will make our lives harder. Take an in-depth look at the history of this amazing technology, and how it is shaping our destiny in Artificial Intelligence: The Future is Now. Woody is a children's picture book author. This is his ninth title published by Wild Dog Books. Previous books include Sea Turtles: On the Edge, Veggies, Grains and Dairy: From Farm to Table, Work: Then and Now, Community and Festivals, Parties and Celebrations from around the World.